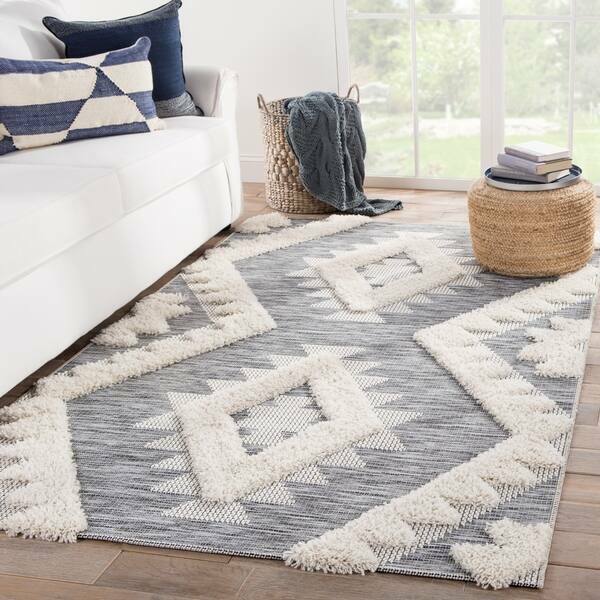 Inspired by the bohemian texture and style of classic kilim designs, this indoor-outdoor rug features a durable and easy-care polypropylene and polyester blend. From flat-woven to shaggy pile, the unique texture and geometric details create a one-of-a kind look in high-traffic spaces. The gray and cream palette lends relaxed versatility, perfect for a range of boho decorating styles. Dimensions 90.0 In. X 63.0 In. X 0.38 In.